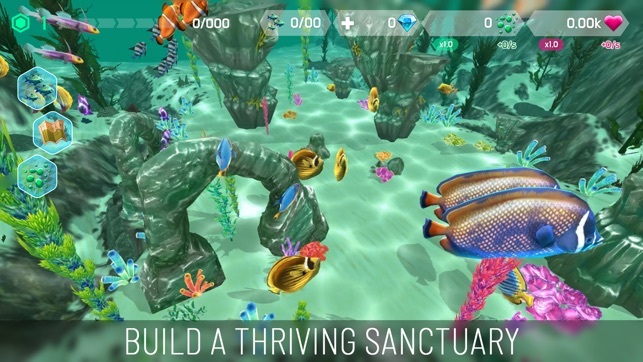 Build a thriving ocean sanctuary splashing with aquatic life - all while you listen to the calming sounds of the ocean as whale song echoes in a distant reef. 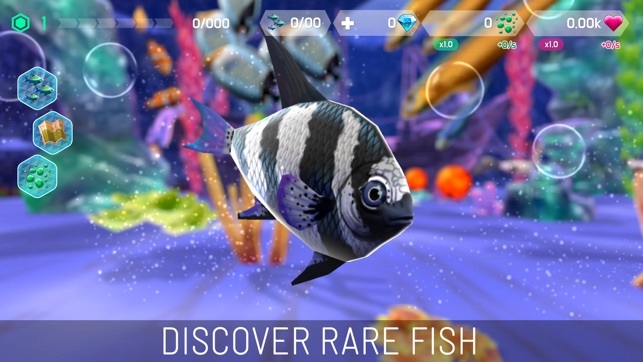 Discover all the fish in the sea and bring them to your aquarium. 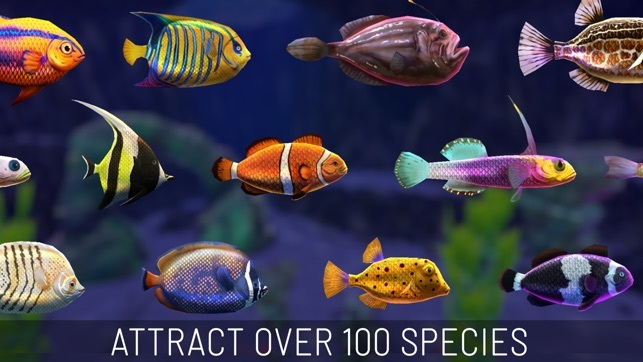 From koi and clownfish to majestic creatures that would never fit in your fish tank, such as dolphins, sharks and humpback whales and even more exotic species - we have them all to collect and grow at the tap of your finger! Dive into the world’s largest fishtank - your own aquarium sanctuary! 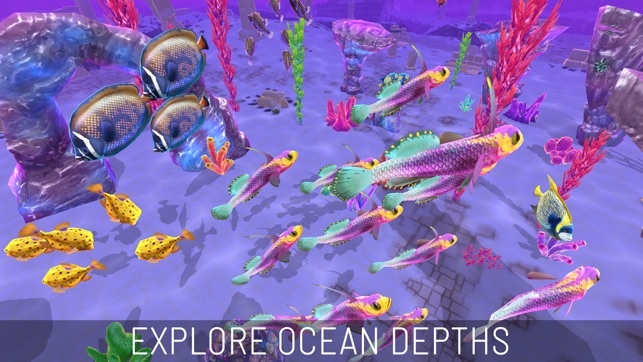 Customise your underwater oasis with corals, seaweed, rocks and attract new species of fish to your deep sea aquarium in this relaxing underwater sim. Begin your adventure in a secluded reef as you discover your way through the depths of the aquamarine world, one tap at a time. 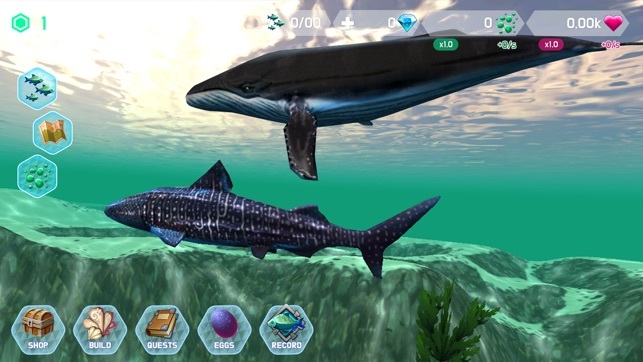 A relaxing family simulator game full of life, build your beautiful virtual underwater tycoon where marine life can thrive - all as you listen to the zen music of whale songs in a distant reef. 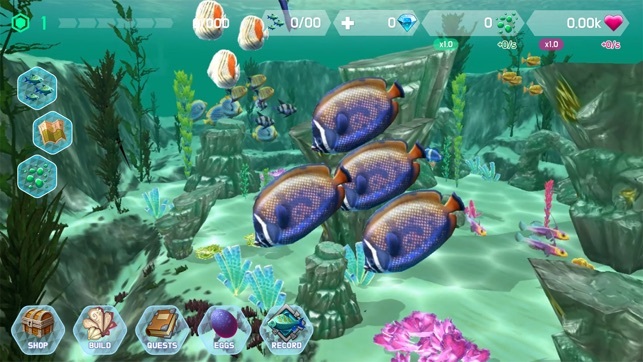 The marine life in your reef will find friends and form schools of fish, just like real fish majestically weaving in and out of the coral (and avoiding sharks!) using our advanced behaviour simulator. Create the ultimate fish farm. 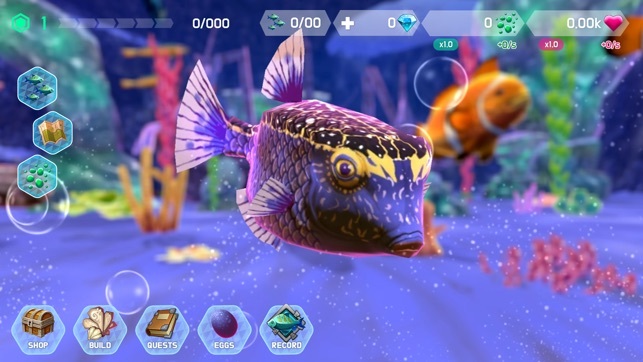 Hatch eggs and feed your underwater creatures to level them up. 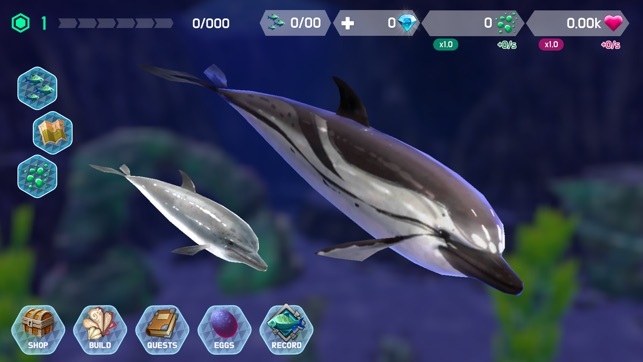 Merge your fish to breed them into more special, unique pet fish. 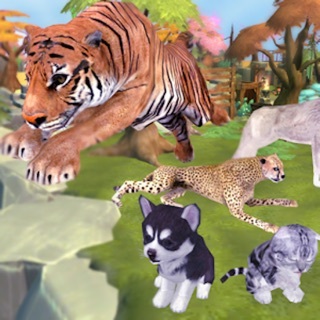 Fish Abyss is completely free to play but some optional in-game items may require payment. I love how beautiful this game is! It's very relaxing. 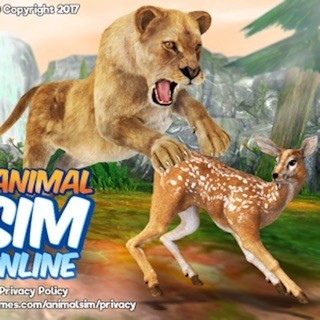 I love aquarium sims and in my opinion this one is the best out of all the others. I like the fish merging, feeding etc. 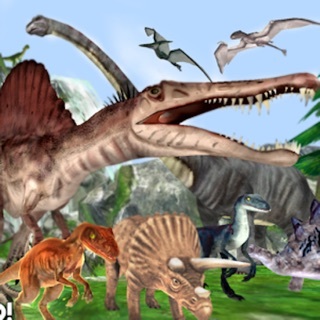 It's unique in a sea of idle tap clones. 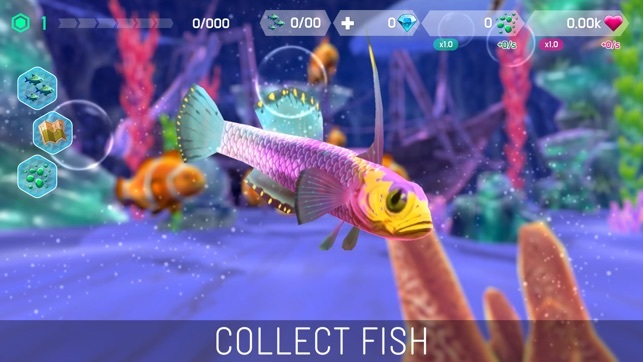 This is the best game about fish and sea life I’v ever played!